New wrecks ready to dive in Bimini! Bimini, The Bahamas ⏤ On April 22, 2017, local dive shop, Neal Watson’s Bimini Scuba Center, in collaboration with Resolve Marine, Key Construction and Shannon Bullard and The Rock Shed Crew, sunk the 165 ft long J.P. Kipp Barge just miles off North Bimini. Within the following week, a 90 ft long Tug Manatee, a 70 ft long Landing Craft, dubbed “The Lady in Red” and a 30 ft Cuban Refugee Boat, were also sunk in the same area. All at a depth of 85 ft and within swimming distance, the 4 boats make up what is now called “The Coach Sugar Memorial Dive Site” — named after Bimini’s beloved chief youth mentor, Grathen “Sugar” Robins. The Coach Sugar Memorial Dive Site is expected to have a booming impact on Bimini dive tourism. Once marine life begins to colonize, the wreck site will become home to a variety of reef fish, marine corals and various pelagic species. “These artificial reefs provide a great sanctuary for undersea critters, help establish coral growth and recruitment, as well as being an awesome playground for scuba divers and water enthusiasts!” comments Duncan Brake, underwater cameraman and former Bimini Biological Field Station Manager. The vessels — donated by Resolve Marine, Key Construction and Shannon Bullard and The Rock Shed Crew — are a welcomed addition to Bimini’s wreck dive options. Like the S.S. Sapona and Bimini Barge, the new boats come with their own colorful histories. Starting with the Tug Manatee, built in 1944, this craft was instrumental in the construction of Nassau’s mega resort Atlantis. Next, the Cuban Refugee Boat that ran ashore on Cat Cay in 2015 with 19 Cuban refugees on board — yes, 19! The passengers were said to have been found celebrating on the golf course thinking they had arrived in Miami. They were all sent back to Cuba. Between the 4 companies — Neal Watson’s Bimini Scuba Center, Resolve Marine, Key Construction and Shannon Bullard and The Rock Shed Crew — an estimated one-half million dollars was donated in terms of cleaning crews, dive crews, dive equipment, monies and physical vessels. The sinking of these four ships was an incredible community effort and will no doubt benefit the entire Bimini — from divers to fishermen to hospitality establishments. Neal Watson’s Bimini Scuba Center, located at the Bimini Big Game Club Resort & Marina, currently offers trips to the new dive site on an on-demand basis. 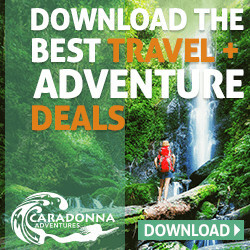 Dive trips can be booked a la carte or as part of a Dive + Hotel Package. For more information about our dive rates and/or package information, please visit www.biminiscubacenter.com or call 800-867-4764. New data shows effectiveness of Reef Safe Sunscreen! Check here for the latest info! Tired of the white, pasty, greasy stuff in a tube? Tired of fighting with your kids trying to apply it? Tired of getting it on your rashguard, dive suit and more? Then we have you covered in a whole new way! Tropical Seas recognizes a need in the market place for mineral based sunscreens, but did not want to bring one to market unless it was significantly better for our skin and our ocean environment. Scientific data states that Titanium dioxide and Zinc oxide are both ocean pollutants that create hydrogen peroxide in warm sea water, thus harming all types of sea life, both plant and animal based. Watch their sedimentation video to see how normal mineral based sunscreens react in sea water. Beware the TUBE claiming to be Biodegradable & Chemical Free! Chemicals are essential to modern life and whether you acknowledge it or not everything in our lives is chemical based; yes, even mineral based sunscreens. We agree that some more natural than others, but if you look at the chemical analysis of say a blueberry or even a banana you will find that they have naturally occurring chemicals in them. Chemistry brings exciting new technologies that can help us make existing products even better, and safer than existing technology. So how can we balance the need for technological innovation in sunscreens with the need to protect human health along with the health of our environment? Out of the box thinking at Tropical Seas has resulted in new technology where we have created Land SharkÔ, a transparent non-nano particle zinc/titanium mineral based SPF 30 polymeric sunscreen that applies virtually transparent! With outside the box innovation we also added iron oxide and mica for a Sun-Kissed, flesh tone version that leaves just a hint of bronze to your skin. View how easily Land Shark rubs into skin here! *Bonus: Land Shark contains O2 Renew Anti-Aging Technology. By utilizing naturally occurring quartz sand (silica), which is readily available and processed into products, we formulated around a custom non-nano zinc and titanium blend to entrap the mineral sunscreen molecules in the silicone, which allows a natural waterproofing. Only 2.38 % of Land Shark comes off your skin after 80 minutes in the water as opposed to 25% of most other brands. Watch our Land Shark video to view how Land Shark never comes off into the water, even with extreme movement, then compare that to our sedimentation video of standard formulas above. Tropical Seas products stay on your skin – Not in the Ocean! “When a business dedicates itself to innovative sustainable Research & Development, it is actually enhancing its competitiveness for the future! 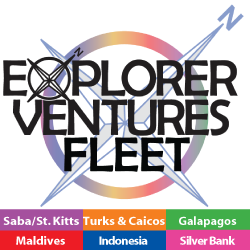 Tropical Seas, Inc. leads where others follow.”, stated CEO, Dan Knorr. Tropical Seas / Reef Safe invites you to check out our array of Sun protection products, Land Shark Mineral Based Formulas, Reef Safe Oxybenzone Free Formulas, “Original” Formulas, Eco-Spray Formulas, and Broad Spectrum Formulas. No matter what your sunscreen formula preference Tropical Seas has you covered. Tropical Seas, Inc. of Ormond Beach, FL was established in 1988, and is a family owned and operated business. Over the year’s hundreds of our customers have watched our children grow up and come to work with our Crew in our business. Tropical Seas is known for high quality eco-friendly sunscreens, as well as, quality skin and hair care products. During our career, we have manufactured over 25 million bottles of sunscreen, ranging from mineral based sunscreens for dermatologists (famous ones on T.V.) to Reef Safe Sunscreens for D.O.D. & U.S. Military for Desert Storm Operation. Our manufacturing operations are based in a state of the art 20,000 sq. ft. free standing manufacturing facility where we blend and process our formulas, and fill and decorate all our packaging for our own products. All Research & Development along with Quality Control / Quality Assurance are also performed in house. You can at take a factory tour here. Ormond Beach, FL (April 10, 2017) Reef Safe SunCare, a biodegradable sunscreen scientifically proven by Mote Marine Non-Toxic to coral, as well as, proven safe to sea-life and our ocean environment, announced that they have begun the transition from virgin cardboard used in production of packaging their products to 100% recycled boxes. The first recycled boxes will arrive at Tropical Seas Factory around April 28, 2017 and will immediately go into production. “We are excited to have finally discovered 100% recycled boxes for our products that are made from recycled materials such as: newspapers, magazines, paper, and used cardboard shipping boxes. By making this transition we continue to demonstrate our commitment to sustainability,” commented Dan Knorr, President and CEO of Tropical Seas. “We have been researching recycled boxes for our packaging over the past several years, but until recently could not find the quality, nor a reputable supplier that we felt could withstand scrutiny from the marketing claim – 100% Recycled. After numerous test trials we found that in test after test, the recycled material matched the quality and strength of virgin cardboard. While price is slightly higher than virgin material we feel that it is worth it. After all, how much would it cost to replace our planet?”. Recycled boxes are also an important weapon in the fight against climate change. More than 25% of all carbon emissions are caused by deforestation or land filling. Every ton of paper recycled prevents one ton of carbon dioxide from entering our environment. Tropical Seas is dedicated to protecting our environment, as well as, protecting and nurturing our planet's resources by being bluer to meet our environmental goals. By providing the same or better performance in our products by using recycled and sustainable materials like our bio-resin bottles and now 100% re-cycled boxes, we enhance our customer’s environmental stewardship, and help grow the Blue Energy Trend (B.E.T.). Reef Safe SunCare, was introduced by Tropical Seas of Ormond Beach, FL, as a sunscreen scientifically proven Non-Toxic to Corals and sea-life as well as biodegrades in oceans, lakes and rivers; thus protecting fragile ecosystems while protecting our skin. Reef Safe sunscreens were subjected to a comprehensive series of independent laboratory tests to support and authenticate marketing claims. The research found that Reef Safe SunCare products did not harm over 200 corals, biodegrade on average in less than 90 days in seawater and freshwater. No evidence of toxicity to microorganisms and other sea life was detected. Research also found that Reef Safe’s waterproof formula allows less than 3% of the product to come off in water, which compares favorably to the estimated 25% of mass-market brand lotions that come off in water. New Trade in-Trade up program for Reef Safe Suncare Products through March 2017! 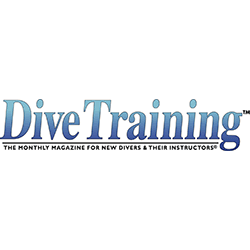 Click here to learn how your dive shop can take advantage of this unique new program or tell you local dive shop about it! Protect yourself and keep Reef Safe….latest research proves it! Latest research proves once again that Reef Safe Suncare products safe for you and the environment! Plus Land Shark makes its' debut! Find out more at DEMA 2016 and by clicking here! Whatever your preference, Reef Safe and new Land Shark has you covered! 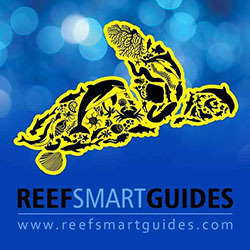 Latest news about Reef Safe and Land Shark sunscreen here!